Vale will continue to pursue iron ore products quality improvements with the acquisition of developer Ferrous Resources and expanding projects with existing synergies, CEO Fabio Schvartsman said at an event in London Thursday. 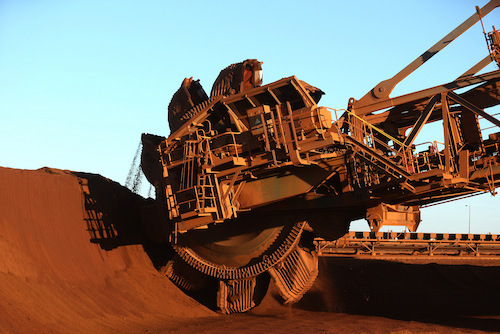 The Brazilian miner plans to expand the capacity of its Malaysian iron ore distribution and blending center by 10 million mt/year to 40 million mt/year in 2022, to allow for more blending and sales into new markets. The $130 million expansion will allow the hub to tap new customers in India and Southeast Asia, Vale said. In India, more and more iron ore is coming into the country for blending and use in pellets, Vale said. Vale has tolling agreements in India and in the Middle East with pellet plants, the company said. Vale will expand its pellet feed supplies to external plants, with more volumes starting in 2020, Peter Poppinga, Vale's executive officer for ferrous minerals and coal, said at the event in London. In Oman, a $30 million project to add 2 million mt/year of pellet capacity starting in the second half of 2020 at its existing site in Sohar is planned. At Vargem Grande, Vale will tap ultra-fine iron ore in two years with processing advancements. The company is also investing in optimizing dry processing to extract higher quality ores. Vale said it will invest $820 million over five years, and pellet feed output in southern Brazil is set to grow from an additional 2 million mt in 2020 with incrementalsteps in 2021-2023 to 20 million mt longer term as part of the initiative to shift into higher quality ores.